Democrats have gained majority control in Colorado's Senate. The new political reality is keeping Sen. John Cooke, R-Greeley, awake at night. Cook said he was up at 3:30 a.m. before Election Day thinking about what it will be like to be in the minority for the first time. At an election night watch party that felt more like a wake for state Republicans, Cooke predicted Democrats would run wild with their new power. "I don't see them compromising," Cooke said. "I don't see their coming to us and wanting to work with us, I see their radical agenda taking place. It's going to be like living in California or Oregon." Capitol reporter Scott Franz looks at how the "blue wave" is playing out at the State Capitol — especially for Republicans in a Democrat-controlled government. State party chairman Jeff Hays says Republicans won't take the change sitting down. He's already calling on his party to serve as the loyal opposition to the Democrats. On the other side of the aisle, Democrats are trying to strike a more cooperative tone ahead of the legislative session, which begins in January. Sen. Leroy Garcia, D-Pueblo, will lead the new 3-seat majority in the Senate. "I'm optimistic the tone (with Republicans) will be positive," Garcia said after he was unanimously promoted to Senate President by his peers. "My task is to lead and govern, and I take this responsibility very seriously. I'm eager to work with anyone who wants to work with us." Do Republicans like Hays and Cooke have a reason to worry? If history is a guide, Ken Bickers says they might. Bickers is a political scientist at the University of Colorado at Boulder. He studies what happens when one party has complete control of a legislature. "When there's unified control, sometimes the parties reach further down their wish lists to try to get things enacted because they know this is their chance to push some things through that would not happen if they had to negotiate with the other party," Bickers said. But that can also have consequences. Bickers points to the 2013 legislative session, when Democrats passed stricter gun-control measures following the Aurora Theatre shooting. The changes lead to the successful recall of two Democratic state senators. Bickers thinks a split chamber can be a blessing for lawmakers and the governor. "My sense is that the best years of the Hickenlooper administration have been when he had a divided legislature because then he could work with Republicans and Democrats and try to reach across the aisle," Bickers said. So what's on the wish list for Colorado Democrats? State party chair Morgan Carroll is giddy when she describes what she thinks the new Jared Polis administration will accomplish with Democratic backing. She's predicting more environmental regulations will be passed and the state will make larger investments in public education. Health care is also on her mind. "What we're going to see (…) is a pretty unified commitment to growing access and lowering costs of health care in Colorado," Carroll said. The state might also see new regulations on oil and gas. Democrats introduced multiple bills calling for more regulations last session that died in the Republican-controlled Senate. 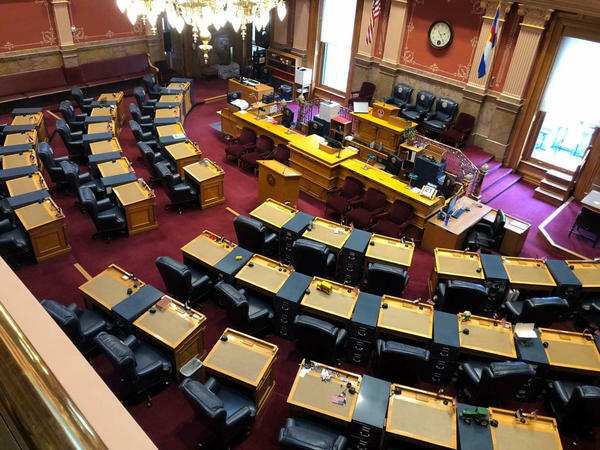 Democrats and Republicans didn’t waste any time choosing new leaders for the upcoming legislative session in Colorado. It felt almost like a lively and cheerful family reunion when the growing Democratic House majority gathered in the Old State Library Thursday afternoon to promote KC Becker of Boulder to the position of House Speaker. 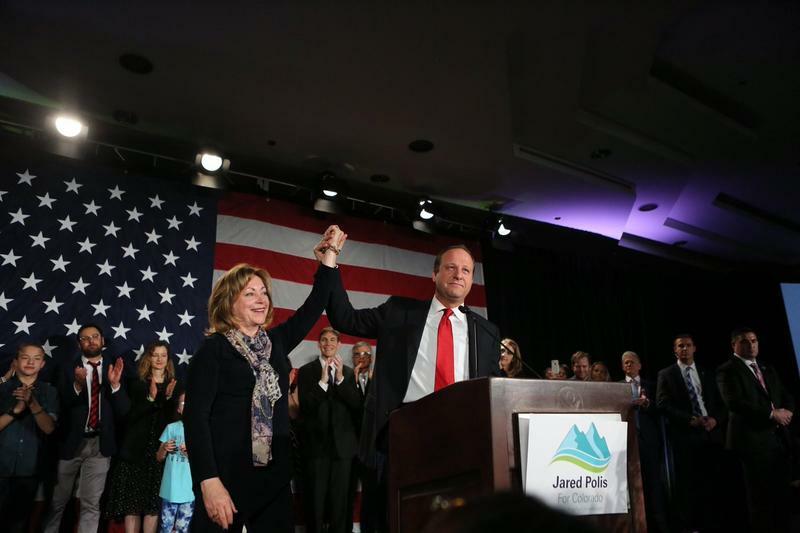 Democrat Jared Polis is the governor-elect. In the 6th Congressional District, Jason Crow takes the win, unseating five-time incumbent Republican Mike Coffman. Ballot measures were met with mixed support: Transportation measures 109 and 110, along with oil and gas well setback measure Proposition 112 failed, while amendments Y and Z, which address partisan gerrymandering, passed.